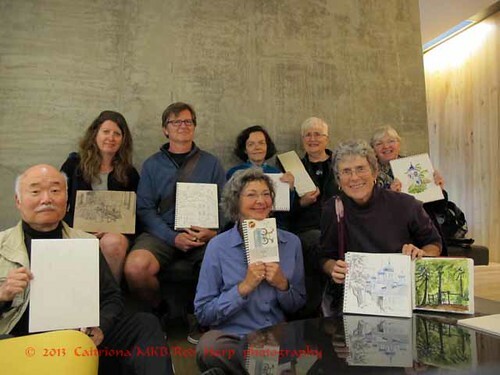 Nine sketchers met near REI mothership in the Cascades or South Lake Union neighborhood for an ad hoc sketch outing today. 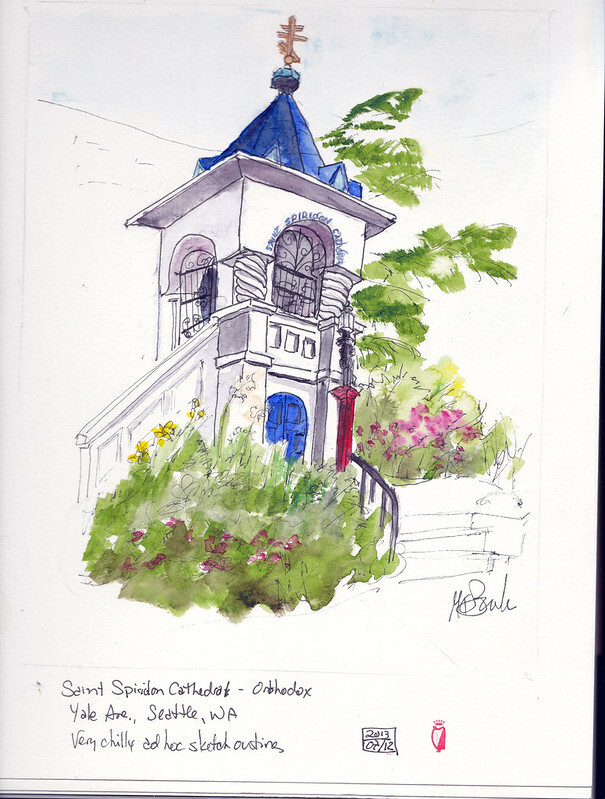 About half of us sketched the Orthodox cathedral nearby! It was surprisingly chilly and I almost wished I'd brought my gloves. I did not quite feel up to the perspective challenge of the entire facade so I just sketched the entrance. 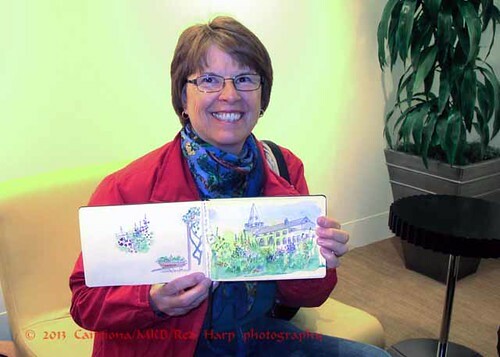 We took the above photo a bit early so a couple people could get to their next sketching appointment! So we missed including PeggyJG.